Our Wild Focus team member Jami Tarris worked on a conservation project in Borneo in late 2015 following the fires that were deliberately started in order to clear land for palm oil plantations. She worked with Orangutan Foundation International (OFI), a nonprofit organization dedicated to the conservation of wild orangutans and their rainforest habitat. Established by Dr. Birute Mary Galdikas in 1986, OFI operates Camp Leakey, an orangutan research center, within tanjung Puting National Park. OFI also runs the Orangutan Care Center and Quarantine (OCCQ) facility in the Dayak village of Pasir Panjang near Pangkalan Bun, which is home to more than 330 displaced orangutans, and helps manage the Lamandau Wildlife Reserve, where rehabilitated wild born ex-captive orangutans were released into the wild. During Jami’s project in Indonesia, she was fortunate to be able to work with Dr. Birute Galdikas, scientist, conservationist, educator. 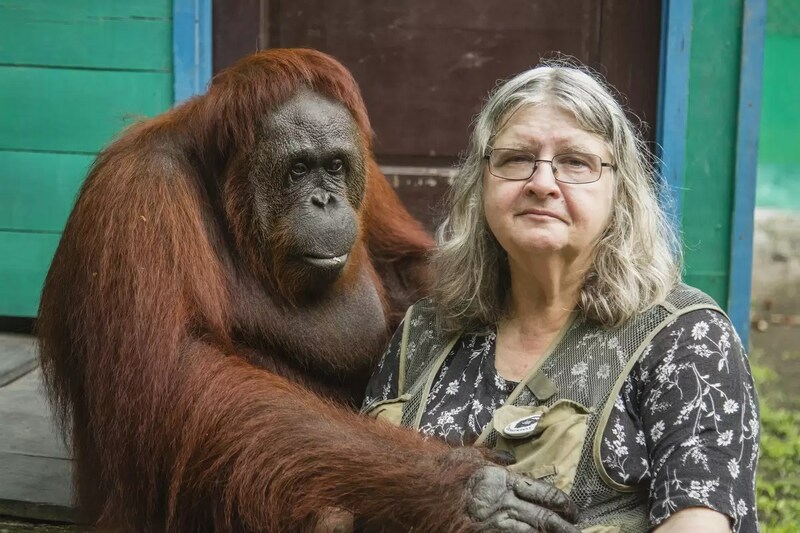 For over four decades Dr. Biruté Mary Galdikas has studied and worked closely with the orangutans of Indonesian Borneo in their natural habitat, and is today the world’s foremost authority on the orangutan. Along with Jane Goodall (chimpanzees), and Dian Fossey (mountain gorillas), Dr.Birute Galdikas was chosen by world renown anthropologist Dr. Louis Leakey to study hominids. These three primatologists were known as “The Trimates” or “Leakey’s Angels”. He secured funding for the three scientists and launched their successful research programs. Dr. Galdikas, with a team of field research scientists are committed to the welfare of all orangutans, whether captive, ex-captive, or wild. OFI supports research on orangutans and forests, education initiatives both local and international, and brings awareness concerning orangutans wherever it can.